TrafficCast International is celebrating the opening of its Wilmington Office and Traffic Operations Center at The Mill with an Open House on Wednesday, June 20th from 5-7pm. Come tour their state-of-the-art traffic operations facility and meet their team. The event is free but requires registration. Food and beverages will be provided. 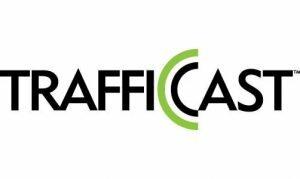 TrafficCast International produces real-time, reliable traffic intelligence and analytic services, including travel time forecasting, road speed monitoring and traffic impacts of incidents and roadwork. Its technology, applications, and content inform navigation and driver information services in the interactive, mobile, enterprise and public sector markets. The event will also serve as a preview to the TrafficCast Design Challenge which is taking place Wednesday, June 27th from 5-7pm at 1776 – The Curtis Center, 601 Walnut Street, Philadelphia. The TrafficCast Design Challenge is a UI/UX design competition with $10,000 in prize money. Interested participants in the Design Challenge can meet with the TrafficCast team at the Open House at The Mill on the 20th. For more information about either event contact, Alana Maguire at [email protected].